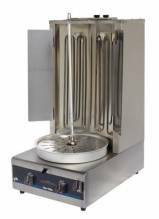 A vertical broiler, also known as a Gyro, Gyros or Shawarma machine, allows you to put a spin on how your food establishment cooks various types of meat! 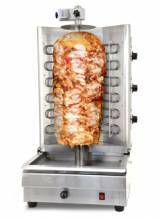 A quality attraction, a gryo machine is used to make meat, perfect for sandwiches, shawarmas and pitas! Star vertical broilers are available in either electric or gas (natural or LP), and are easy to clean and easy to use! 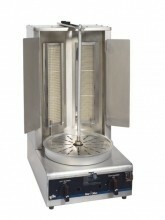 Add a vertical broiler to your establishment as a side or main attraction! This affordable machine will get you your money’s worth, and increase sales with such a performable machine! An electric Gyros slicer is available to cut beef, chicken, lamb, and a variety of other types of meat.